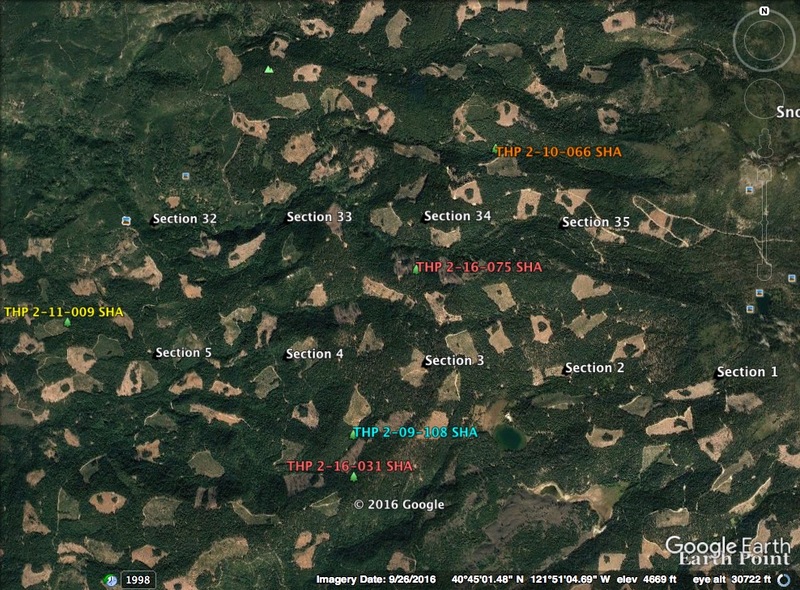 THPBlog: Roseburg Resources Company to clearcut log SW of Burney, CA. 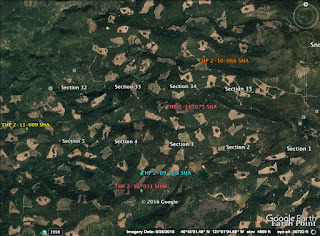 Roseburg Resources Company to clearcut log SW of Burney, CA. This THP is about 4 miles SE of Round Mountain and Highway 299, and about 9 miles SW of Burney, CA at an elevation of 3,420 to 5,760 feet. Roseburg Resources Company is planning a tractor and cable clearcut logging operation on steep and unstable slopes in Douglas fir, incense cedar, ponderosa pine, sugar pine and white fir forests. There are 2 unstable areas in watercourse areas inside units 501 and 3405, and 1 unstable area adjacent to the east side of unit 401. Roseburg Resources Company is planning to use ground based equipment in areas designated for cable logging, and use ground based equipment on steep slopes over 65% in sections 4 and 33. They also want to construct a road on steep slopes over 65% within 100 feet of a watercourse, and use 6 segments of existing seasonal roads inside class I (year round) and class II (mid sized) watercourse areas. 23 road drainage sites are planned for work including rocking, dip construction, ditch cleaning, culvert repair/replacement and restoration of washed out crossings. A western pond turtle was reported 2 miles west of the THP area, and a cascade frog was reported 1.5 miles SW of the THP area near Silver Lake. Foothill yellow legged frogs were reported 2 miles south of the THP area, and rattlesnake fern was found adjacent to the SW boundary of unit 3301.